A shift of paradigm in relation to nuclear energy is occurring and a new era of nuclear energy is emerging. The problem of energy resource availability, climate change, air quality, and energy security suggest an important role for nuclear power in future energy supplies. Nuclear power plant technology has evolved as three distinct design generations: (1) Prototypes, (2) Current operating plants, and (3) Advanced reactors. The next generation of nuclear energy systems must be licensed, constructed, and operated in a manner that will provide a competitively priced supply of energy, keeping in consideration an optimum use of natural resources, while addressing nuclear safety, waste, and proliferation resistance, and the public perception concerns of the countries in which they are deployed. Recognizing both the positive attributes and shortcomings of the prior generations of reactor designs, it is now time to lay the groundwork for a new generation of nuclear reactors. More than half a century has passed since peaceful use of nuclear energy began. 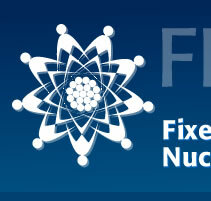 Recently, international cooperation activities, such as the Generation IV International Forum (GIF) initiated by US Department of Energy and the International Project of Innovative Nuclear Reactors and Fuel Cycles (INPRO) initiated by IAEA, have motivated the nuclear scientists and technologists around the world to search for a new generation of innovative nuclear reactors. 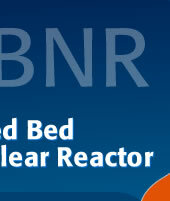 These reactors are to be totally safe, resistant to proliferation, environmental friendly and economic. The International Atomic Energy Agency through its INPRO Program is creating a new paradigm in nuclear energy. The nuclear energy in the future will be generated by innovative nuclear reactors that will meet a new set of requirements. The public perception of nuclear energy will change and thus a new era of nuclear energy will emerge.